If you need a link to send out to other students or staff, you can simply copy the URL from the browser address bar and email it. N.B. 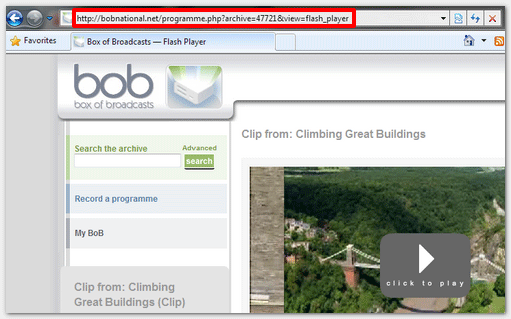 After the upgrade to BoB in November, there may be some saved embedded clips and programmes that will no longer play due to Flash compatibility issues. In these instances, users will need to find the BoB record itself and use the new URL. We'd advise logging in to BoB before following links.